Whether your son already has been pledged, initiated, or is considering joining Phi Gamma Delta, we welcome the opportunity to let you know about our fraternity and answer questions that you might have. Phi Gamma Delta currently has chapters and colonies on over 116 campuses throughout the United States and Canada. Founded in 1848, our fraternity has a long history with great traditions and many famous members. While we are proud of our heritage, we’re well aware that you are most concerned with the experience your son will have in Phi Gamma Delta during his current college years. Please review our Membership Development information to see how the Fraternity’s programs and activities reinforce our values of Friendship, Knowledge, Service, Morality and Excellence. Inclusion in the Membership Accident Protection Program. The program complements individual health insurance by covering injuries sustained in accidents. You also will want to know about the Phi Gamma Delta Educational Foundation, which supports our undergraduate members through grants for alcohol education and leadership programming, as well as through scholarships. The Foundation’s Academic Achievement Awards (AAA) provide a scholarship of $250 to each newly initiated member who achieves at least a 3.0 GPA during his pledging term. This program is unique among fraternities. 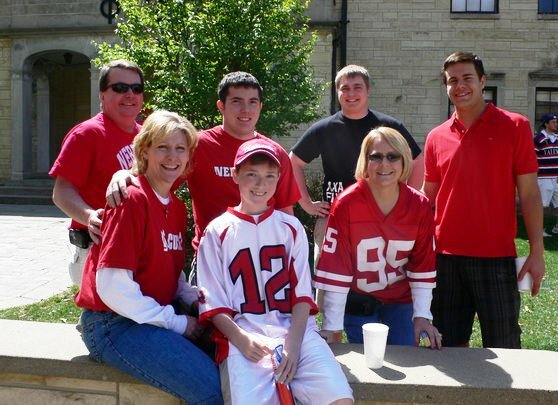 We know that many parents and prospective members have questions about the pledging experience. That experience in Phi Gamma Delta should be positive and productive. Each chapter’s pledge program should emphasize a sound academic grounding and the development of friendships among all pledges and initiated members. There is no place for hazing in Phi Gamma Delta. If you ever have any concern about your son’s pledging experience, you are urged to contact Executive Director Bill Martin or phone him at (859) 255-1848 ext. 135.